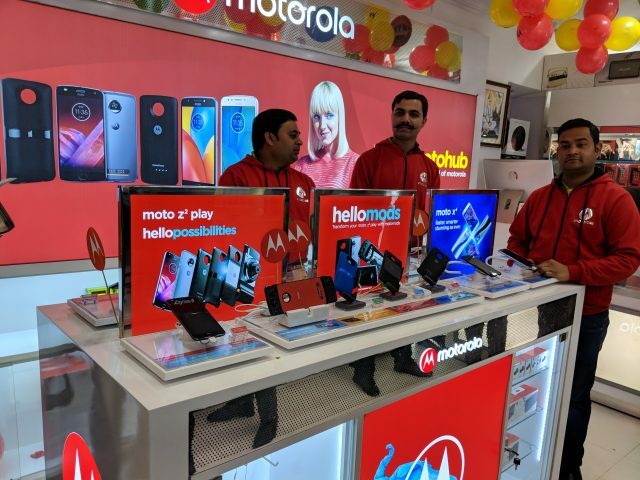 Days ahead of the Moto G6 launch, Motorola has announced a partnership with Reliance Retail Limited to bring its Moto Hub experience to over 150 Reliance Digital and MyJio stores across the country. With the partnership, Motorola will showcase its entire product portfolio at the retail outlets, giving potential customers a chance to easily experience the products before they make a purchase. The company will set up Moto Hubs within the retail stores which will offer customers easy access to the company’s products and ensure their availability in the offline sales channels. The partnership is part of Motorola’s strategy to expand its offline presence in the country and reach a larger consumer base. Reliance Digital and MyJio stores across key locations, including Mumbai, Delhi, Bengaluru, Chennai and Hyderabad, will be the first to get the new Moto Hub experiences. The first Moto Hub set up as part of the partnership was recently inaugurated in the presence of Mr. Shashank Sharma, Executive Director, Motorola Mobility & Lenovo MBG Asia Pacific region, Mr. B.V. Mallikarjuna Rao, Regional General Manager, Motorola Mobility India, Mr. Kaushal Nevrekar, Chief Merchandising Officer, Reliance Digital and Mr. Pradeep Bhosale, Head of Business – Productivity, Reliance Digital. Motorola has invested heavily in increasing its offline reach in the country through its Moto Hub stores. Since the beginning of this year, the company has announced over 600 Moto Hub stores across different states, including Delhi NCR, Uttar Pradesh, Madhya Pradesh, Tamil Nadu, Karnataka, Andhra Pradesh, Telangana, Maharashtra, Gujarat, Odisha and West Bengal. Motorola plans to open over 1000 Moto Hubs in the country by the end of the year.